This Gluten Free Lip Balm Stops Dry, Cracked Lips Once And For All! Rallye Balm is uniquely designed to knock chapped lips out of the ball park – forever! Rallye Balm is a high quality, 100% gluten free Vitamin E suspended in a special, cold pressed Castor Seed Oil. Healthy Lip Skin is the only way to beat chapped lips. Vitamin E is an anti-oxidant that zaps the free radicals in your lips causing the problem in the first place. It allows the lips a chance to heal naturally, and once healed, it helps your body maintain the healthy, un-chapped lip skin. By keeping the oxidized free radicals zapped, they never have another chance to go bonkers in your lips, and healthy lip skin retains moisture better! It's completely odorless and tasteless, has no toxins, preservatives, waxy coverups, drying or addictive ingredients. Your life will never be the same! Rallye Balm has a multitude of wonderful uses and benefits! • Lips – Apply just like you would a lipstick. Rub it in deep with your fingers if you plan to put lipstick right over the top, which is a great idea! It makes a wonderful base for lipstick! • Mix Your Own Blush – Dab some Rallye Balm onto the back of your hand, then dab a little of your favorite RAL Lipstick next to or on top of it. Blend the two together with a cosemtic spatula. Dab the mixture lightly on your cheeks and blend to your temple. • Make Your Own Gel Eye Liner – Swipe some Rallye Balm on the back of your hand. Use your favorite eye liner brush and dip it into any RAL Gluten Free Eye Shadow, and run the loaded brush right over the Rallye Balm on your hand. The apply to the eye. Here’s a video provided by a great customer on exactly how to do this. • Use Rallye Balm under your eyes to reduce puffy eyes and wrinkles. • Use Rallye Balm on any dry skin! Elbows, Feet, Dry Patches of Skin, and even sore skin from runny noses. • Strengthen and Heal nail beds and cuticles by rubbing Rallye Balm in deep. 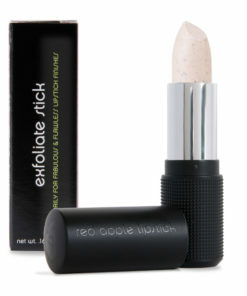 Balm without the yucky (gluten, lead, paraben, allergens and soy)! No tint but great natural sheen. The best daily lip moisturizer. It’s unique. It’s different. It’s amazing. It’s awesome. 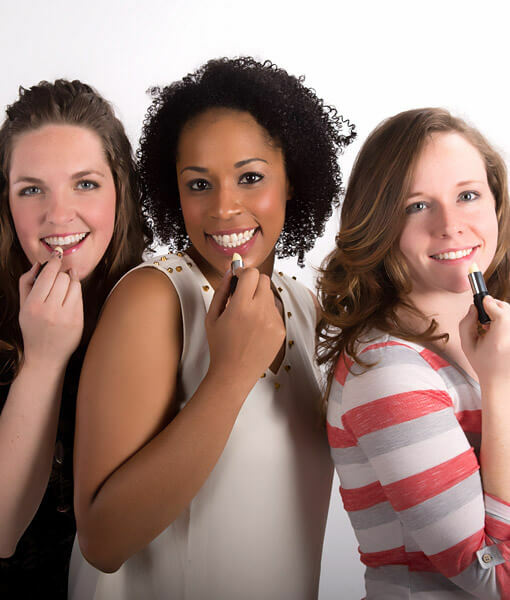 It’s a one of kind lip balm brought to you from the mind of lipstick designer Jay Adam Harper; it’s the world’s very best lip balm. This balm was designed to specifically combat the dry lip issues shared by most women with Celiac Disease and Gluten Intolerance. And if it’s tough enough to tackle cronic “Celiac Chap”, it’s tough enough for any lips! Rallye Balm is no ordinary lip balm. This lip balm is gluten free. It’s paraben free (as in no danger of breast cancer). It’s allergen free. Rallye Balm ends dry lips. Rallye Balm stops lips from cracking. Rallye Balm™ protects lips by surrounding them with a moist, protective shell. Rallye Balm helps protect your lips from the damaging rays of the sun with an SPF level of 8. 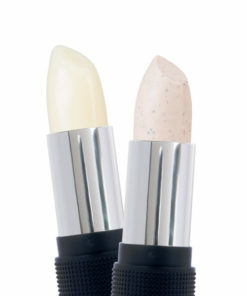 Rallye Balm makes an excellent base for lipstick and lip glosses, extending it’s staying power. A clear coat of pure perfection, pucker up to sheer protection! Red Apple Lipstick’s gluten free lip balm, Rallye Balm, is your solution for dry, cracked and peeling lips! 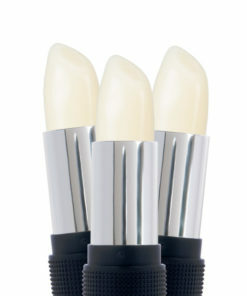 Your lips face many harsh elements every day-wind, sun, heat, cold, oils, etc. Exposure like this breaks down the sensitive skin on and around your lips. Due to it’s moisturizing properties and clear formula, Rally Balm compliments every Red Apple Lipstick lip product perfectly while keeping your lips healthy, supple and smooth! Rallye Balm targets the source of problem, giving your lips the gluten free vitamin E and sun protection they crave most. As with all Red Apple Lipstick products, Rallye Balm is 100% lab tested gluten free, paraben free and allergen free. This vegan formula is completely odorless and perfect for everyone-women, men and children! – Try coating your lips with Rallye Balm before bed each night and wake up to smooth lips. 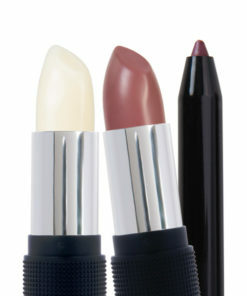 – Wear Rallye Balm under your favorite lip color for a smoother application. – Top off your lip color with Rallye Balm for a true shine without manipulating the color payoff. – Use Rallye Balm on your nails and nail bed. of. Of course I tried hers and had to have it. I ordered it that day (with her help) and I also ordered a lipstick. And here is what happened. My little white bag arrived in two days. green tissue paper. A copy of my invoice with a hand written note on it! lady is a happy old lady. If you are anything like me and have dry, flaky lips, this product literally cures it. lips feel so freakin nice and smooth! Not chapped and not dry. Seriously? Are you kidding me? Love it! made a real difference to me. Thank you all so much. Have a blessed day.